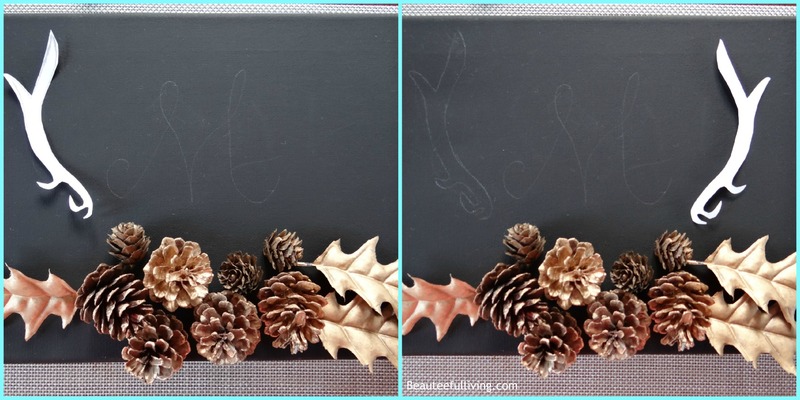 I’m excited to share a simple DIY project I did as part of a fall themed blog hop with fellow DIY/Decor bloggers, hosted by Hometalk. 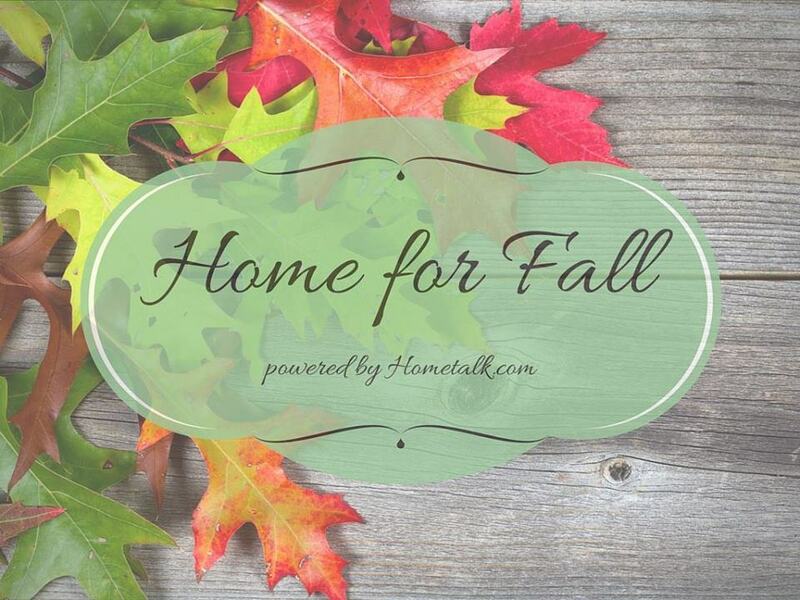 The blog hop is titled “Home for Fall” and I’m sharing a “Monogrammed Fall Canvas Art” project! I plan to place this canvas on my newly painted foyer wall. 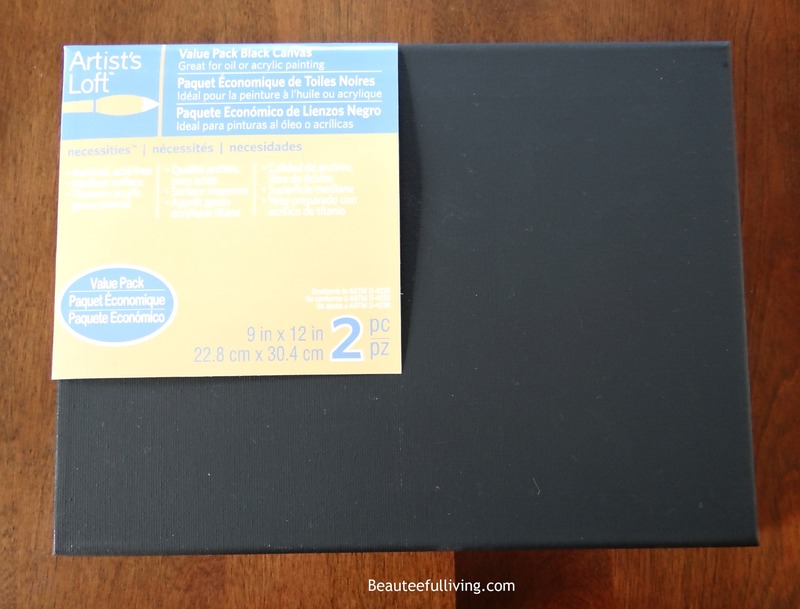 Step 1 – Grab a black canvas. I chose one that was 9 x 12 inches. 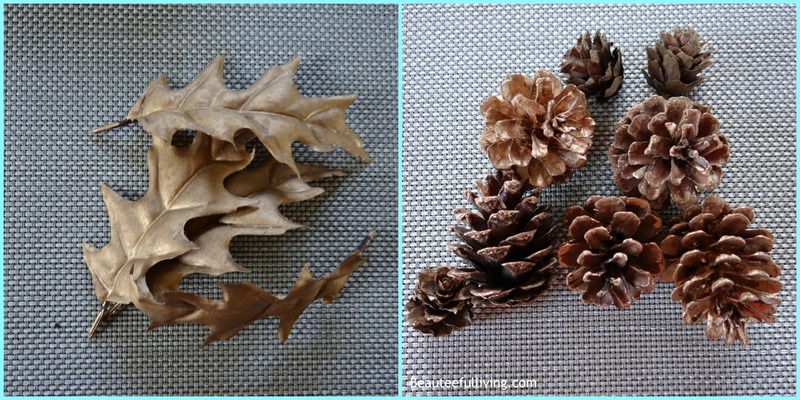 Step 2 – Collect necessary fall decor items such as leaves and pine cones for this project. Step 3 – Assemble your decor items on the bottom of canvas. No need to glue yet. Assembling the items now will give you an idea of how big you can make your monogram initial. Trace your monogram letter. I used “M” for our last name. 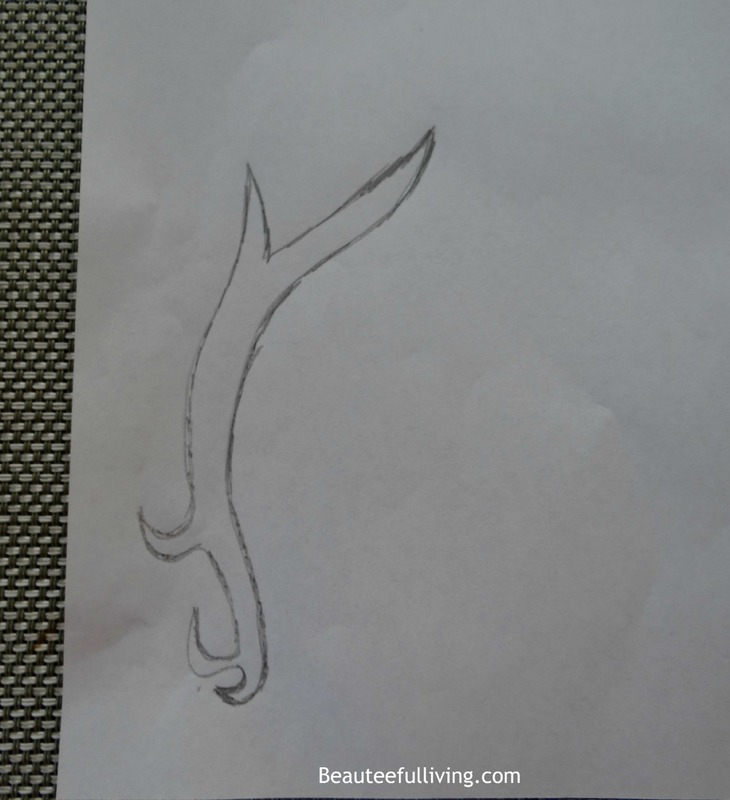 Step 4 – On a piece of paper, trace a deer antler and then cut out shape. Step 5 – Trace antler on the left side. Then proceed with flipping antler to the other side as shown and trace again. 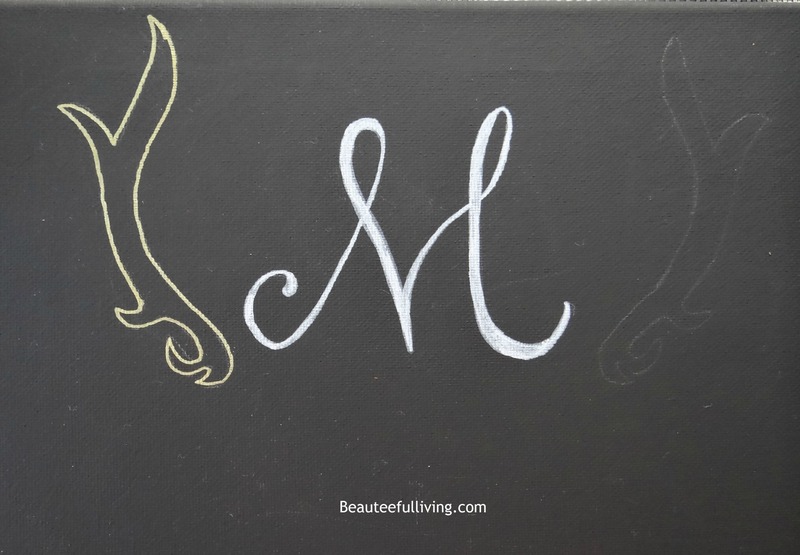 Step 6 – Once your monogram letter and deer antlers have been traced, you can begin using your chalk markers to fill in the details. 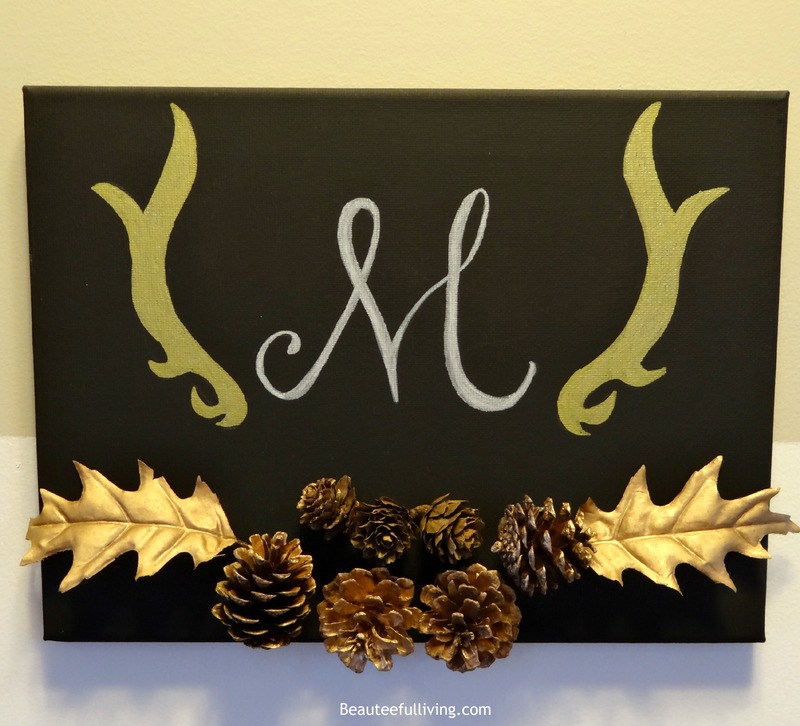 ** I used the white chalk marker for my “M” and the gold chalk marker for my deer antlers. Step 7 – Once your antlers and monogram look like the below photo, you’re all set for the next step. 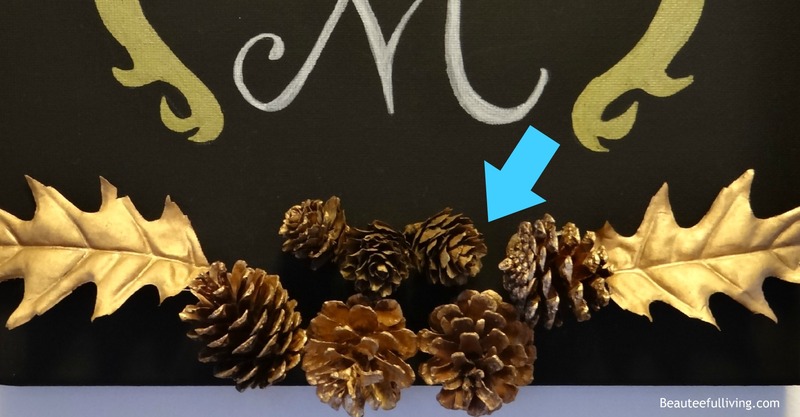 Step 8 – Grab your glue gun (or other adhesive agent) and start gluing your pine cones and leaves at the bottom. 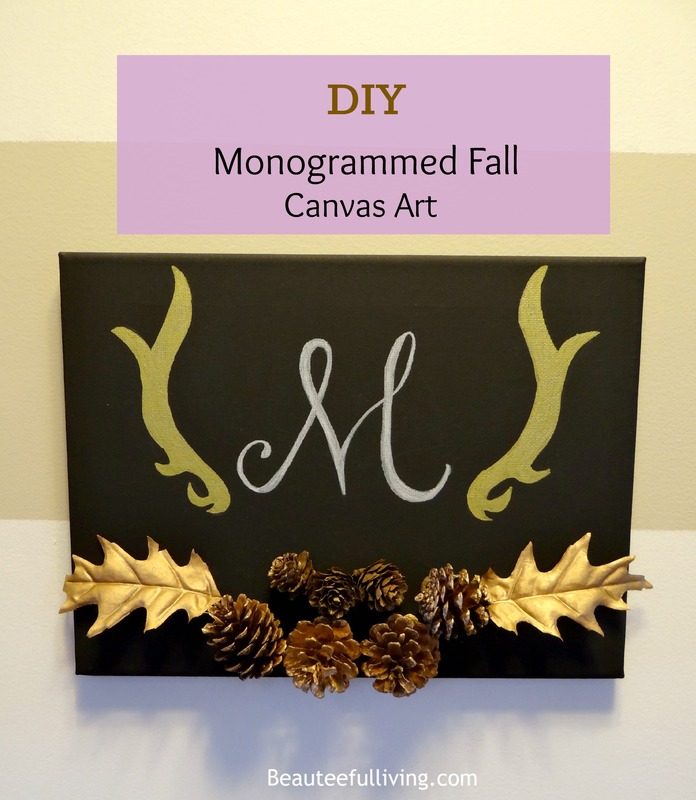 I hope you’ve enjoyed this DIY Monogrammed Fall Canvas Art project! Please like, share or PIN this post. Thanks a bunch! To check out other fall-related projects, please be sure to visit the blogs linked up to this blog hop! Thanks again for visiting! Xoxo, Tee. Oh my goodness, Tee! I love this! 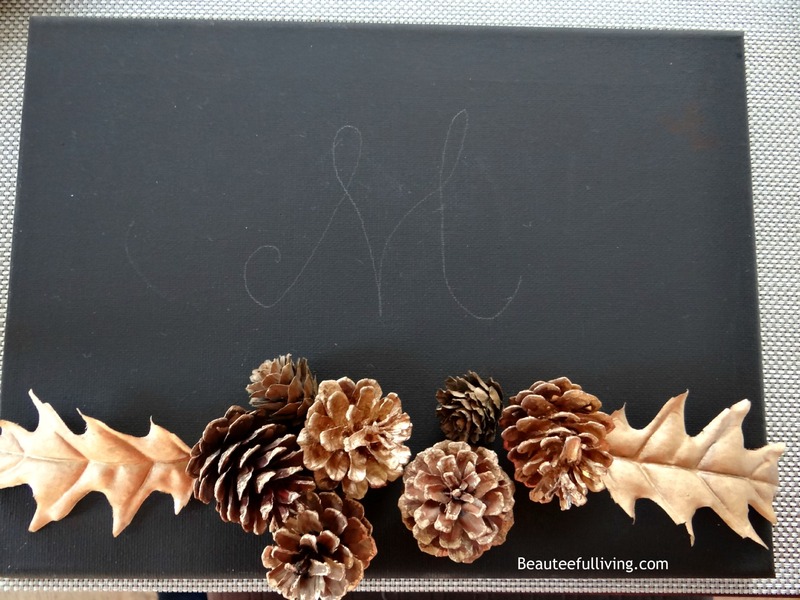 I really love anything with chalkboard, monograms, and/or antlers so this is PERFECT!! Thanks for sharing. It looks super easy, too! Beautiful! And I LOVE the gold against black! Such a stunning contrast! Makes having antlers so do-able for anyone now… yes! That is beautiful! 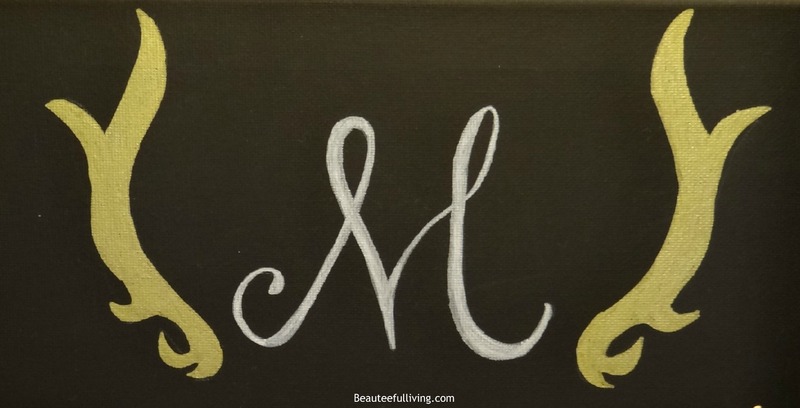 I just love the fancy monogram letter! Wow, this is really beautiful and because you used the gold it looks rustic but also very modern at the same time. Love it ! Thanks for the inspiration! I am always finding (ugly) paintings at Goodwill, but even though I know I could easily paint over the canvas, I haven’t known what to paint. Duh! 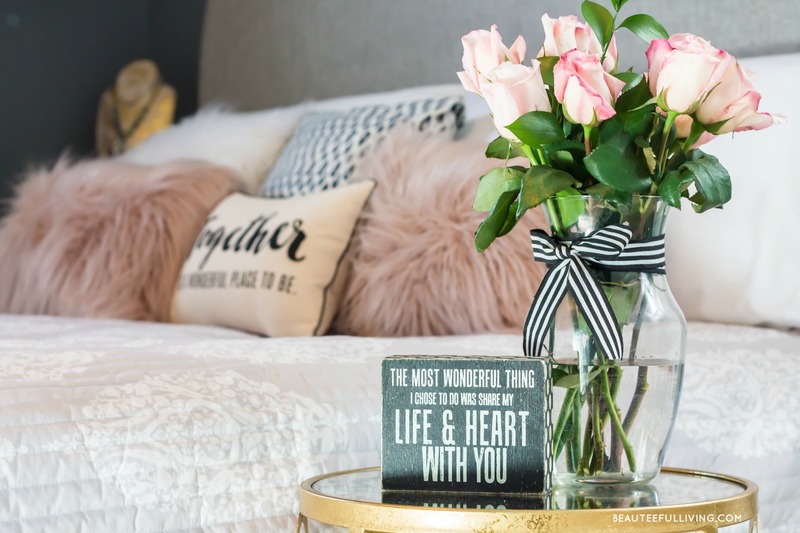 Paint it black and add a monogram! Will have to make one for Thanksgiving or Christmas. Very pretty, Tee! Happy fall!